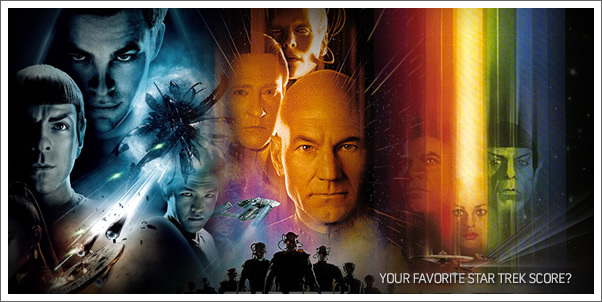 Now that you've had plenty of time to see the latest STAR TREK film and give Michael Giacchino's score multiple listens, has it made its way to be your favorite all-time, Star Trek film score? If not, is it one of Jerry Goldsmith's classics...or James Horner's? What about Leonard Rosenman or Cliff Eidelman's contribution to the Trekverse? Cast your vote in our latest poll! Goldsmith's original score barely beating out Giacchino's? I think the new kids on the block need a bit of a history lesson. First Contact and The Motion Picture are tops, and Goldsmith was the best of the bunch.